While Chipzilla has often boasted about its manufacturing prowess, recently it has ran into some major problems with its 10nm process node. Technology that was originally meant for 2015 mass production has been pushed back to "sometime" in 2019. Recently, Intel's CEO has provided some details for its next generation 7nm processor in the Q1 Earnings call and the annual stock-holders meeting. On the Q1 earnings call Intel's CEO admitted that they may have 'bit off a little too much' at 10nm and that they took a "very aggressive" approach to the 10nm node so because of that Intel is taking measures to ensure the issues with 10nm do not happen again at the 7nm node. This is why they are reducing density goals from 2.7x to 2.4x which still equates to a very impressive 241.92MTr/mm^2 for their 7nm process. (100.8*2.4). While Intel's 10nm missed its original High Volume Production(HVM) date of 2015, I hope that Intel can meet its goal of the 2020/2021 for their 7nm process node but I feel a 2021/2022 date is more likely. "EUV is the next generation lithography tool and if you understand semiconductor manufacturing lithography or the printing of the lines is the critical step in producing the product at the next smaller geometry. And we've been stuck without EUV for the longest period in the semiconductor industry history on a single type of lithography tool. 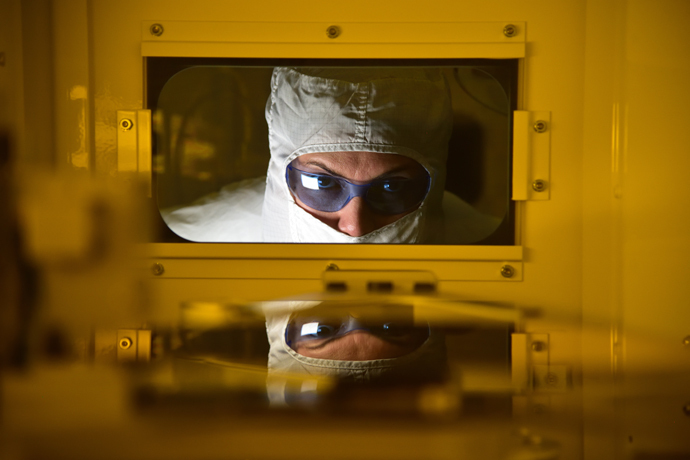 And 7nm will be the first one that transitions to the new lithography tool, which then opens up our ability to print features that are much, much smaller, much more easily." Krzanich points a lot of the issues at the 10nm node because it did not make use of EUV and it is clear that he hopes that EUV makes things a lot easier at the 7nm node and hopes that 7nm does not have such issues that the 10nm node has. "10nm will not impact 7nm and let me explain some of those. On 10nm we believe it will be the last technology that we try and develop without EUV.We believe that most of the issues that occurred at 10nm will not carry over into 7nm and we continue to monitor our progress at 7nm and continue to be very positive about where we're at with 7nm "
"At 7nm and beyond, we're really moving to a world where you're not going to look at any piece of silicon being a single node. You're going to use what we're going to call heterogeneous techniques that allow us to see silicon for multiple nodes. So you may use cores from 7nm and IP from 14nm and even as far back as 22nm for the parts that don't need the high performance and we're able to those together and make them perform and behave like a single piece of silicon in the package." Intel has appeared to have finally learned from their density measuring contest that they had with other pure play foundries who they aren't exactly competing with. This is a good thing because such aggressive jumps like at 2.7x at 10nm from 14nm appears to have caused a lot of issues bringing this process to market in high volumes. Intel should be building their processes for their products and if Intel does not forget this when developing future process nodes at and past 7nm they should be able to continue being an IDM(Integrated Device Manufacturer). If however they fail to do this and should their fabs become a anchor around their neck like it has at 10nm, Intel should shutter its fabs. If Intel's 7nm suffers the same amount of delays that their 10nm(3-4yrs) did and if Intel can not deliver and execute on their roadmaps because of this I do not believe Intel should continue being an IDM.